On March 3, 2012, a retreat on Orthodox Church Music was held at St. Paul’s, featuring Richard Barrett, Liturgical Musician and Scholar and Artistic Director of the St. John of Damascus Society. 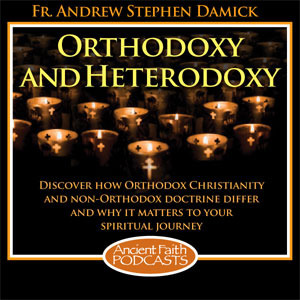 Psalterion as pulpit: The privilege, craft, and discipline of Orthodox liturgical song: The Byzantine rite provides a unique opportunity for the church singer to preach the Orthodox Christian faith in its fullness. In this talk, the practical and spiritual implications for the cantor and choir director are discussed, exploring how liturgical music is a responsibility to be honored, a skill to be learned, and a calling to be respected. 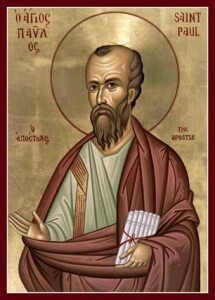 Mingling Prophecy With Melody: The Ethos of Orthodox Liturgical Music: St. John Chrysostom and St. Basil the Great both describe music as the sweetener that God has given us so that we will want to worship Him. How does music work in that way? What do we sing, who sings it, and why? 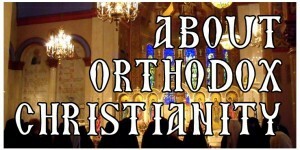 How does Orthodox liturgical music “set the tone” for our worship? This talk discusses some fundamental musical concepts and explores how they interact with our liturgy and our faith. An outreach seminar led by Prof. Alfred Siewers of Bucknell University (Assoc. Prof. of Medieval Literature, Coordinator of the Nature and Human Communities Initiative), originally presented on November 21, 2009. A parish retreat led by Bishop-elect Fr. Michael Dahulich, Dean of St. Tikhon’s Seminary, Associate Professor of New Testament, originally presented on November 14, 2009. The series was subsequently published as a book with the same name available from Ancient Faith Publishing (formerly Conciliar Press) (also available from Amazon.com, including as an e-book). The book form is both revised and expanded from the original podcasts. Part 1: “Believer’s baptism” over against infant baptism, anti-sacramentalism, the “invisible Church,” etc. Part 2: Denominations that formed after the Radical Reformation, as well as two studies in ecclesiological inheritance (Restorationists and Adventists). Part 1: Personal conversion, individualism, and private biblical interpretation. Part 3: Holiness movement (including Pentecostalism / Charismatics), mega-churches, dispensationalism, fundamentalism, liberalism, and the “emergent” church movement. Part 1: Judaism, Islam, Druze, Zoroastrianism, and Baha’i. Part 2: Buddhism, Hinduism, Shinto, Sikhism, Wicca, Neo-paganism, Modern Gnosticism, and Scientology. Part 1: Swedenborgians, Mormons, Unitarian Universalists, Christadelphians, and Christian Science. Part 2: Unification Church, Jehovah’s Witnesses, and series conclusions.